Power plant owners and operators are facing increased pressure to reduce maintenance costs, maximize reliability, and extend the life of their generating assets. 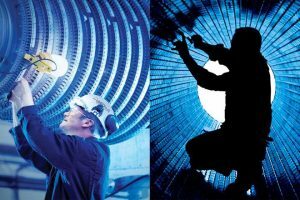 Developments in turbine-generator repair technologies, materials, and procedures have given owners improved options to choose from. This program is ideal for Maintenance Managers, Plant Managers, and anyone directly involved with making repair/replace decisions. Basic understanding of turbine and generator technology is required. Attendees will gain a clear understanding of typical equipment failure modes and the latest available repair options. Attendees will become armed with valuable information that will enable them to manage risk and make better-informed decisions for their turbine-generator assets. Full agenda sent upon registration. MD&A reserves the right to deny registration to this seminar, due to the proprietary nature of material shared during the event. The seminar is being offered, exclusively, as a value-added service to current and potential MD&A customers. Exceptions to this will be handled on a case-by-case basis, so please call David Hagenbuch for more information, (847) 705-0826, prior to registering. Attendees can pay by credit card below or by check or invoice/PO. MD&A standard terms and conditions, dated, 09/11/17, shall apply. To view a copy, please follow the link here. Cost is $1,500 per attendee. Meals will be provided, along with a ticket to a St. Louis Cardinals game. You only have to pay for the attendance fee, your travel and hotel accommodations. If you would like your spouse or significant other to attend with you, they are more than welcome! MD&A will pay for their dinners on Tuesday and Wednesday nights, along with their St. Louis Cardinals game ticket. Please email Info@MDAturbines.com with their name. If you would like them to be invited to breakfast before meeting, let me know. Note, they will not be participating in seminar itself or lunch during the seminar. For an Invoice, please enter PO # below. For Check, please make payable to Mechanical Dynamics & Analysis.